His hands touched my face as he pulled me close "Princess" Chat mutters then he pulled me into a wonderful kiss with love and pation in it. 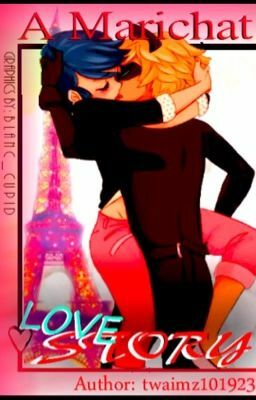 I, Marinette am in love with Chat Noir. As his hands pressed me closer to him his lips curved around mine and it was, ohhh so bitter sweet. Sequel is 'Happily Ever After."